Applying creativity & empathy to problem solving. When we solve problems we typically take things at face value. If the customer asked for X we are going to give them X. Typically there are additional demands on our time so we are just happy to produce what has been requested. But if you were to take a step back, broaden your thinking about the nature of the problem, and consider alternate solutions then you would be engaging in Design Thinking. 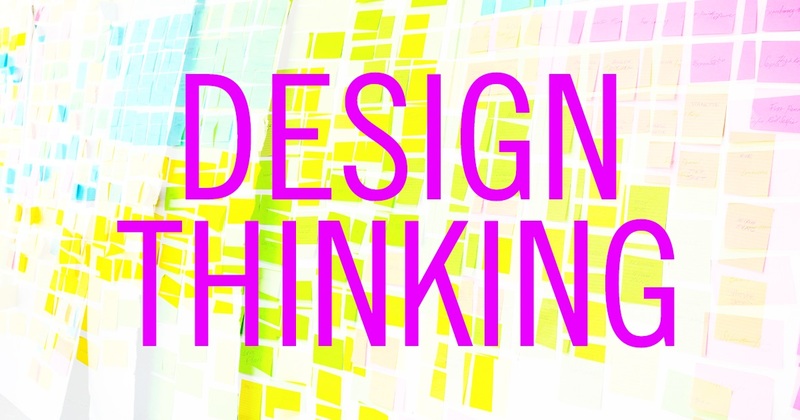 Design Thinking takes the processes designers use and broadens the user base to help anyone/everyone solve problems. It’s applying creativity and empathy to problem solving. It is “thinking outside of the box” to put it in business-speak. Design Thinking starts with questioning the problem itself. When taken at face value many problems are fairly straight forward but upon further inspection the source of the problem may be far more complex. A useful technique to better understand the nature of a problem is the 5 Whys, where one asks a successive series of questions as to why something is a problem. Whether you actually ask 5 is secondary, the important thing is that you continue to question the nature of the problem to get far below the surface towards the root of the problem. Only when you really understand the problem can you begin to create solutions. I say “solutions” plural because you need to generate a variety of potential ideas. You don’t put all your eggs in one basket - similarly you don’t put the entire success of a project into just one solution. When brainstorming solutions it is worth mentioning that being in a good mood allows for more diverse creative ideas through breadth-first processing. Complimenting the 5 Whys is asking 5 Hows - how could this potential solution fix the problem? how would that work? how would the user be helped? etc. Just as you explored the nature of the question you need to explore the nature of your possible solutions. When you feel you have a few viable solutions you need to test your ideas with real people. Testing allows the best ideas to move forward while filtering out others. Build a working prototype, draw a prototype on paper, whatever it takes but get the idea in-front of the user base and see how they interact with it. When you design things you are frequently designing for people other than yourself. Design Thinking has a strong emphasis on empathy because in order to make something for others to use you have to appreciate why & how they are going to use it. Your users are experts at the thing your solution is supposed to help them with. They are the ultimate judge of your ideas. Design Thinking, when applied to UX design, is a great way to better understand both the nature of a problem as well as the nature of other people. It shows that the point of UX design isn’t to focus on the problems but to focus on the people. If you stay focused on your users your solutions will present themselves.